The motor which I used so far became smaller, and the thermal relay was changed from 18 A to 15 A. 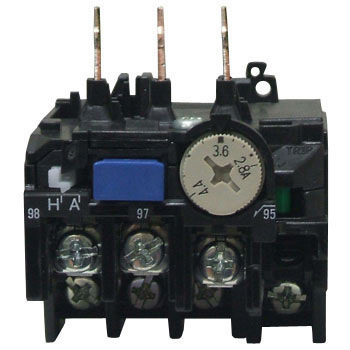 It is more costly to change only the thermal relay than to replace the entire electromagnetic switch. Since the thermal relays of various settings exist in the frame of MSO - N20, I often use it.